This past Christmas, Auntie Becki bought the boys a little Fingerling Monkey each. I’d love to say that these little monkeys were cuddled and adored and treated like little pets, but the truth is that more often than not, they are transformed via imagination into a scaled down version of King Kong and attached to the Brio Firehouse so that they can terrorise the good Lego and Brio people of Jones-Landia [that’s what I like to call small world play places in our home, it’s a long story]. 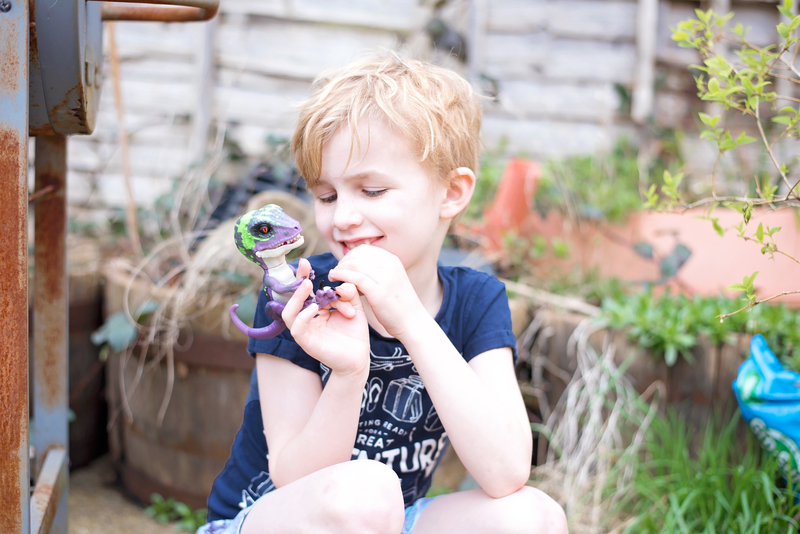 Anyhow, as adorable as they are, the boys felt they needed a bit more oomph behind them – and this month, Fingerlings delivered awesomeness to our home in the form of Razor the Untamed Raptor. Yes, Razor the Untamed Raptor arrived in his box, just like the little monkeys did, and all three boys stood staring at it. We jokingly call Yotie the Raptor in our family because when he’s not supposed to be in my bedroom because there may be surprises hidden in there, he somehow subconsciously assumes a raptor-like pose as he tiptoes through the room, eyes searching about wildly for goodies. Haha. Razor the Untamed Raptor and his other Untamed friends are approximately 6 inches from head to tail, and solid little plastic velociraptors. Once switched on, they move their heads, eyes and mouths, and make around 40 little dino noises. 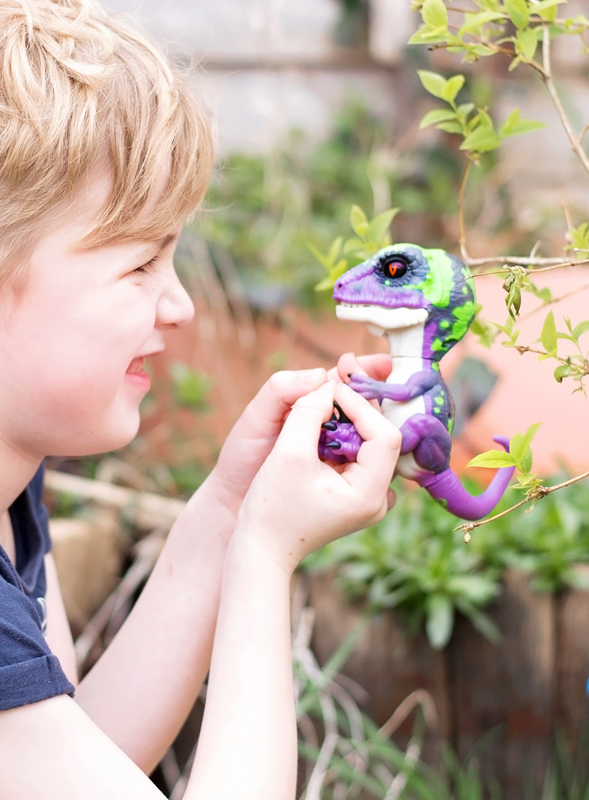 Untamed Raptors cling to your little ones’ fingers and can be interacted with by touching various spots on their little dino-selves. That there are already batteries in Razor the Untamed Raptor! One switch at the back of his head and he’s ready to rarr! The little dino noises are so cute – especially the angry ones. The reptilian movements. We used to have a chameleon before the boys were born and the movements are very lifelike. The eyes are just brilliant, and the boys love that he seems to be constantly annoyed with his world. Haha. Dino-parps, or Dino-Toots. Yes, Razor the Untamed Raptor passes gas, wind, whatever you want to call it. 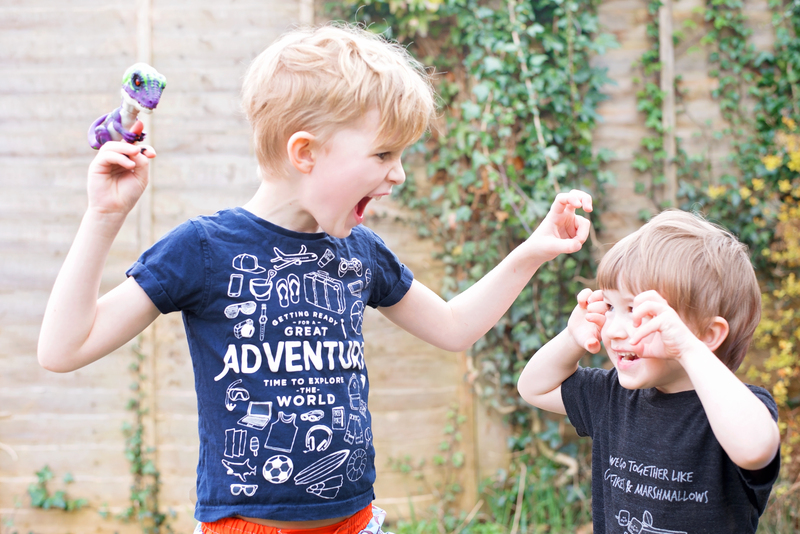 It was pretty funny watching Gav try in vain to recreate the farting noise for me as I missed it, but the boys heard it and thought it was the best ever. That he was a little squishier – it would be easier to know if you’d touched the right sensor if his skin was a little more tactile. They’d been around when I was younger. I can’t pretend that I wouldn’t have bought one straight after watching Jurassic Park. I’d have bought them all. All. Haha. Would we buy one? Absolutely – we love him so much. He’s been on constant adventure since getting here and is now sleeping soundly on top of the boys’ bookcase. 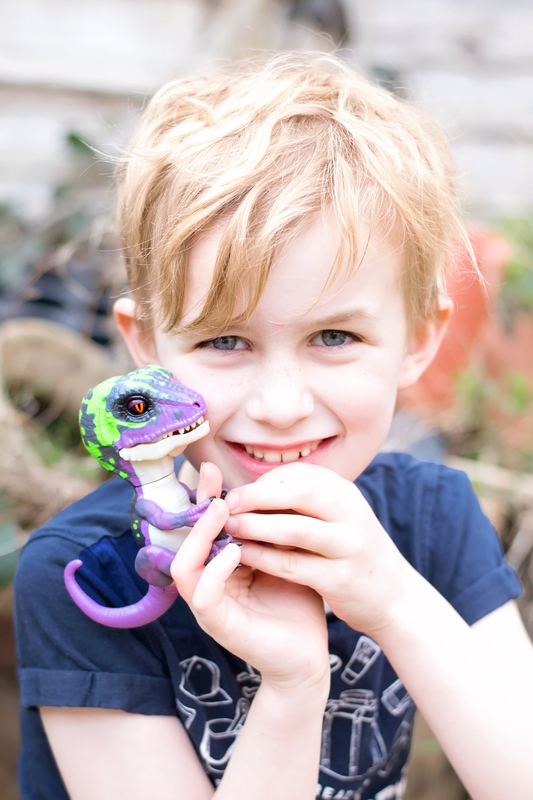 At £16.99 he makes a great birthday present, and we can’t imagine anyone not wanting a little Raptor of their own. We received Razor the Untamed Raptor in return for our honest review.